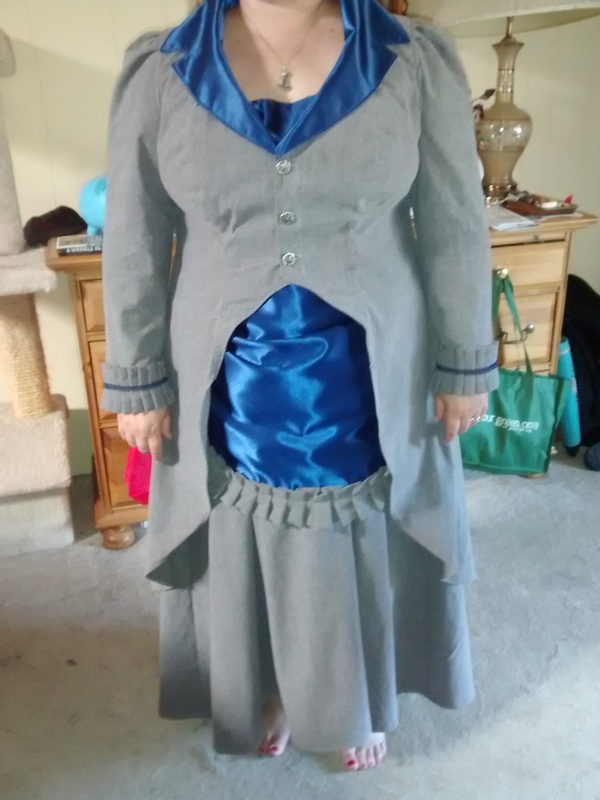 We’re working on a custom Victorian costume for Halloween. 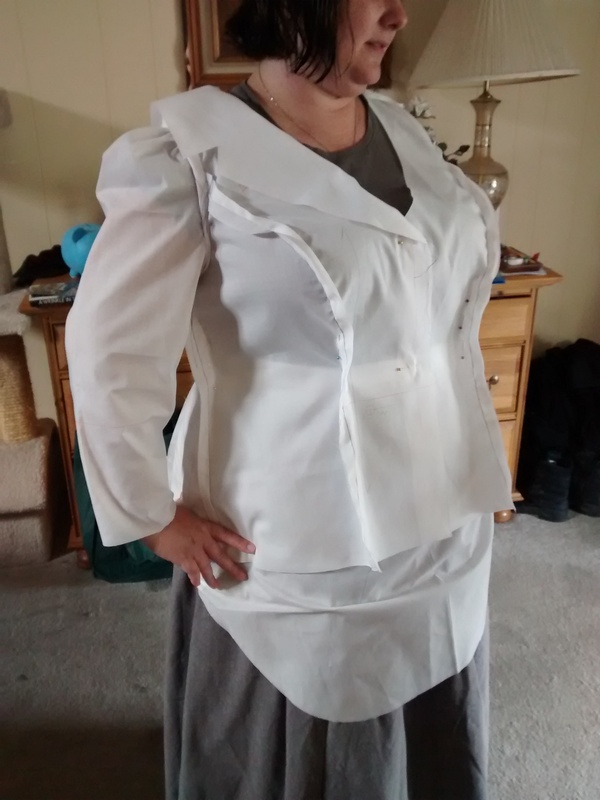 What you’re looking at above is the fitting for the jacket. 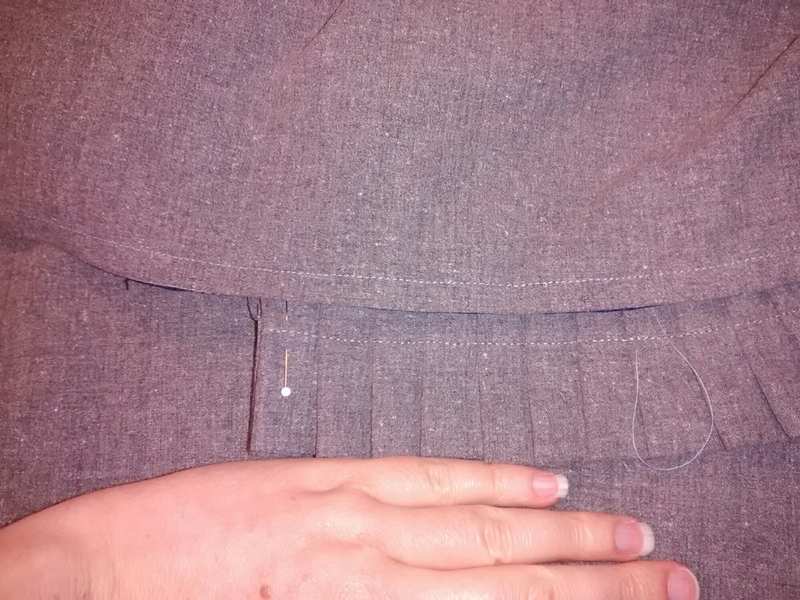 You can also see the bottom of the apron-type overskirt and the skirt. 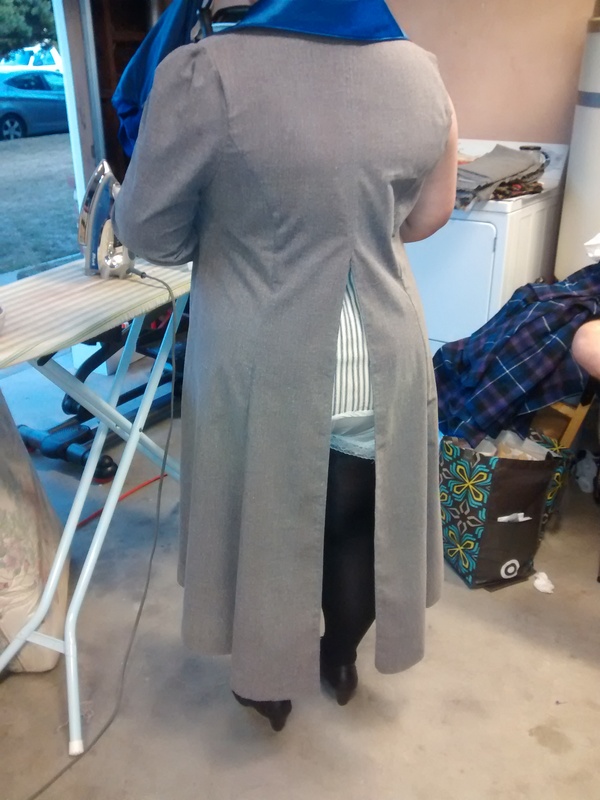 What you’re not seeing is the final shape of the jacket, which will be a tailcoat. 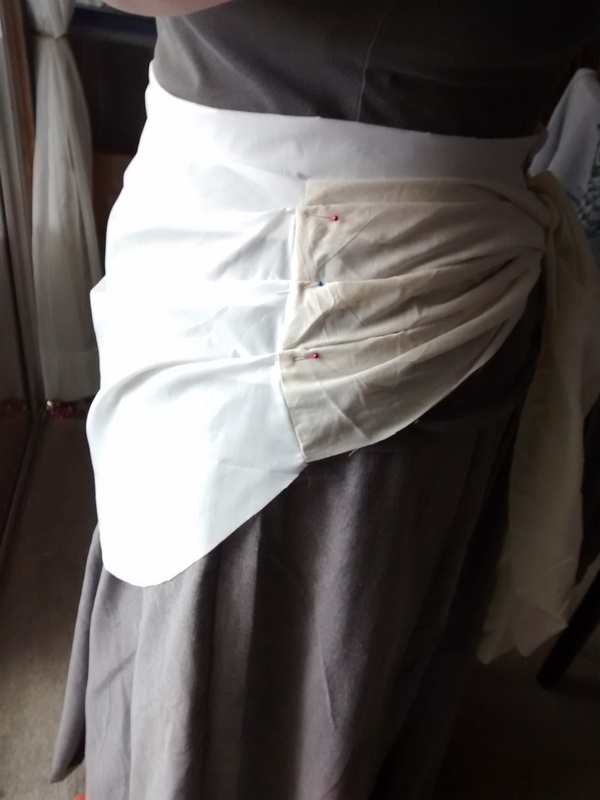 The apron overskirt has some pleats in the sides and basically a really wide tie in the back. Here’s a bit of a bonus. 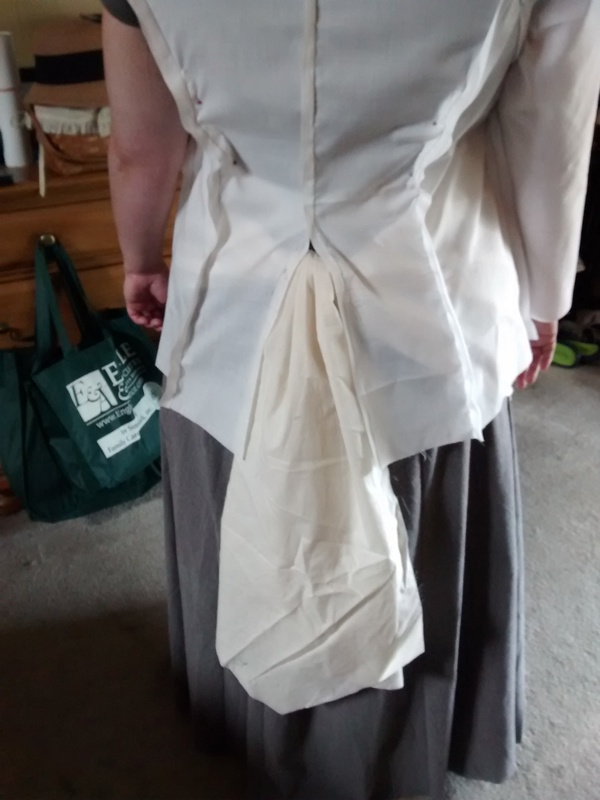 I really didn’t know how the back of the corset was going to work, particularly with the tie on the overskirt acting like a bit of a bustle. Here’s what is going to happen. 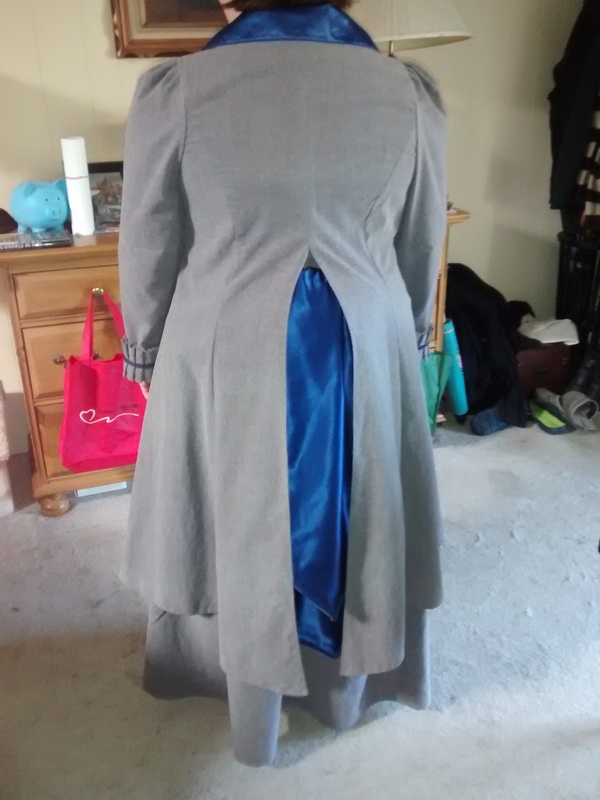 It’s going to divide the tails. You get a pretty good view of the horse at about the one minute mark. I don’t know if I’d call this Steampunk, but it is pretty interesting. I love the red boots! i watched it with the sound off, so I can’t make any comment about the track. 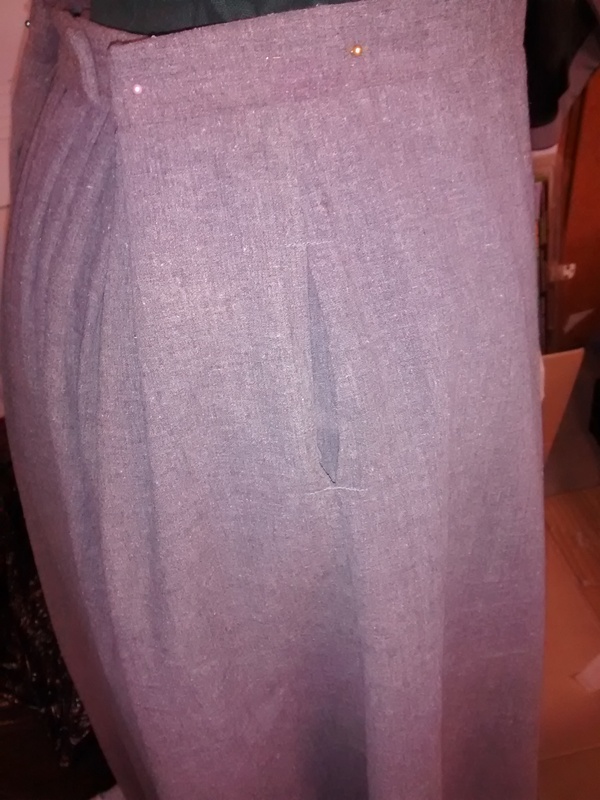 Have you heard of Urban Threads? Urban Threads creates and offers embroidery patterns that are modern, funky and well designed. 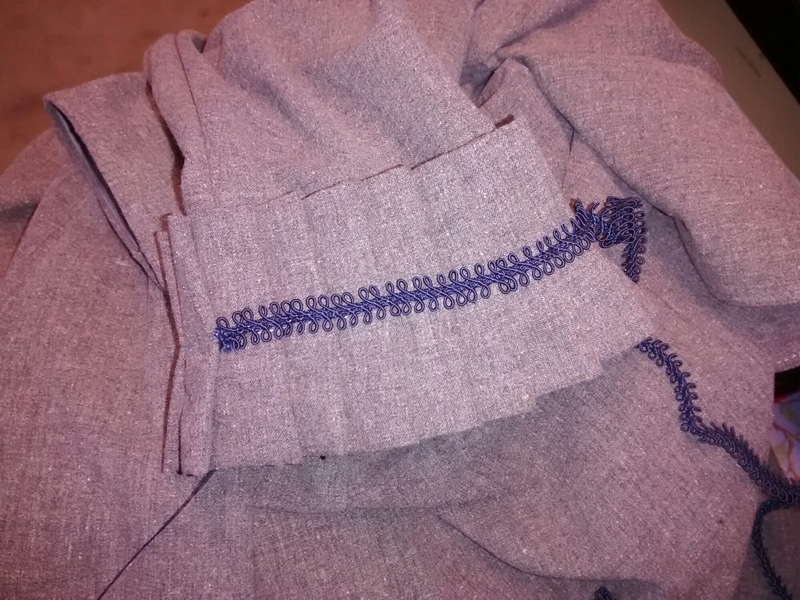 They also show off all sorts of interesting ways to apply them on their site and blog, Stitchpunk. I heard about them quite a while back and can’t believe I haven’t shared this very cool site. They make me wish I had an embroidery machine, though I’m not sure I need another facet to my hobby list. Check out their look book here!